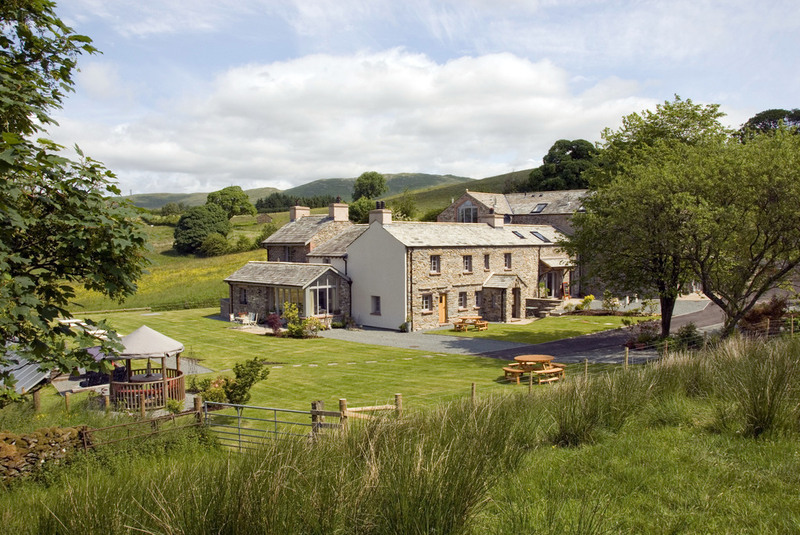 The Hyning Estate - Five Star Gold Luxurious, High Quality, "Green", Self-Catering Accommodation on the edge of The Lake District and Yorkshire Dales National Parks. The Hyning Estate has been extensively renovated and redeveloped by local craftsmen to provide a small number of select holiday dwellings of outstanding quality on the new boundary of the Lake District and Yorkshire Dales National Parks with easy access from the M6 and Oxenholme Station (Virgin rail services between Scotland & Euston). ** Please contact us to discuss larger or more complex requirements. Several of the properties link together to form larger spaces suitable for groups and for family celebrations which can also be booked alongside smaller cottages and we can often provide catering for an event if arranged in advance at the time of booking. Follow this link see at a glance whether a combination of properties are available for a certain period and book online. (Sorry no Pets except Guide Dogs in The Carriage House & The Old Forge by prior arrangement). The accommodation is on one level and so will be particularly attractive for those who don't like stairs although it has no special mobility features and is not suitable for wheelchairs. Luxurious, compact, Mid Barn Conversion for couples. Contemporary, Spacious and Accessible. The Accessibility features have been so tastefully integrated with the contemporary living areas that they become almost invisible.